With patients coming from far and wide, we understand the demands on families travelling regularly to visit our facilities. Our patients at our oncology and soft tissue hospital can make frequent visits, as many receive chemotherapy on a regular schedule. Cancer treatment has changed dramatically in the last ten years and patients can live happy normal lives while receiving chemotherapy. We recognise that it is often much more convenient to travel to a local practice rather than repeatedly to the referral hospital. We have listened to the feedback from the local vets and patient families and the concept of ‘Shared Care’ was born. 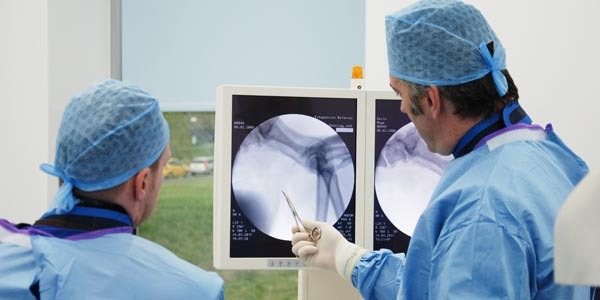 ‘Shared Care’ will further strengthen the relationship between a specialist and a local vet, by combining forces to treat the patient on a regular basis. Once referred, one of our oncologists will do the diagnostics needed to create the most suitable treatment for the patient and chemotherapy can begin at the hospital. 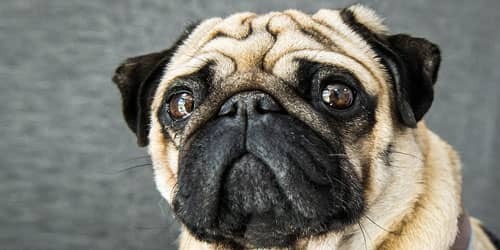 After it has been agreed that the patient is tolerating the treatment well, they can continue their treatment at their local vet practice, only making further visits to us for restaging and or if there are concerns with the patient’s progress. We understand that not all local vet practices will be set up or use to administering chemotherapy, however, we are on hand for this. We believe in shared cancer care and have begun the initiative to offer practices training on chemotherapy safety and administration. 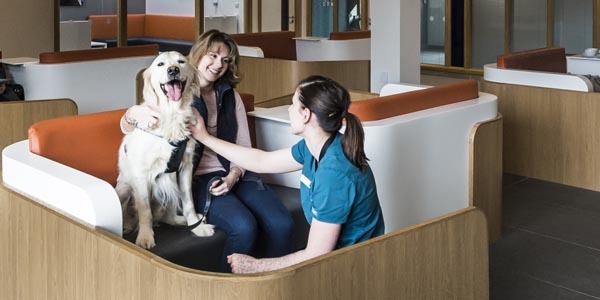 Whether you’re a vet, a nurse or an auxiliary, we will invite you to come and spend the day with the chemotherapy team, and are currently working on CPD lectures in the near future. Once trained, we will always be on the other end of the phone for further advice and guidance, with a vet available 24 hours a day. What are the benefits of shared cancer care? Patients and their families have the convenience of accessing chemotherapy treatment from their local vet practice, reducing travel and costs. 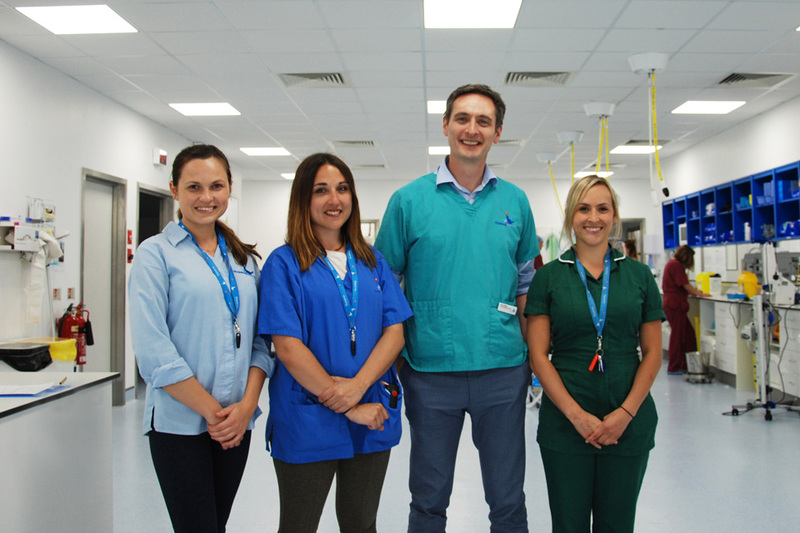 Local vets create even stronger relationships with their clients and Fitzpatrick Referrals specialists. 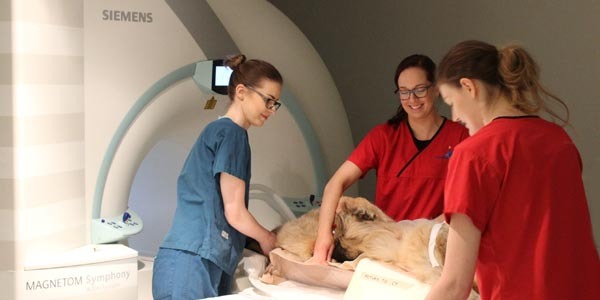 Local vets, nurses and auxiliaries benefit from support and chemotherapy training with world-class specialist vets, specialist nurses and auxiliaries.